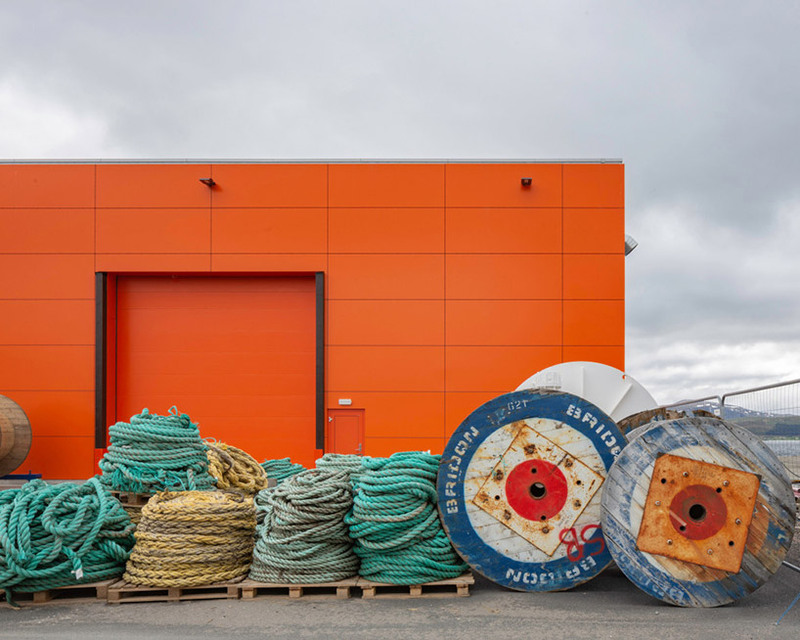 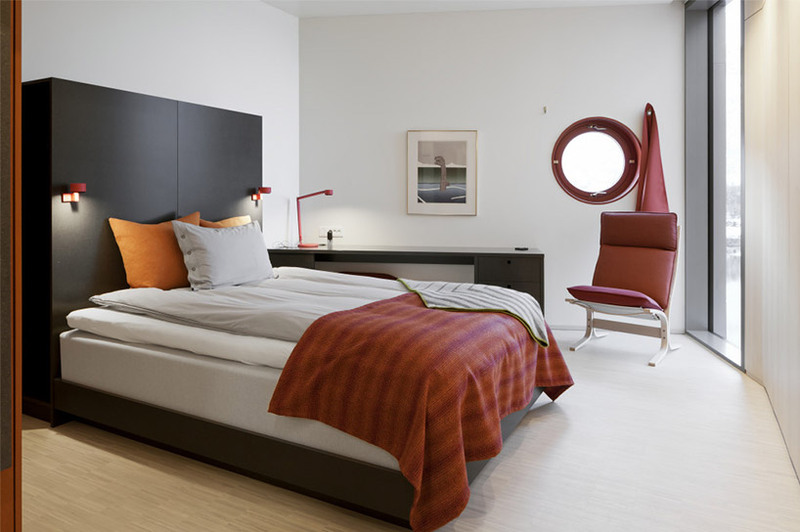 snøhetta has designed the holmen industrial area on behalf of shipowner holmøy maritime featuring a sophisticated and colorful 6,000 square meter fishing facility. 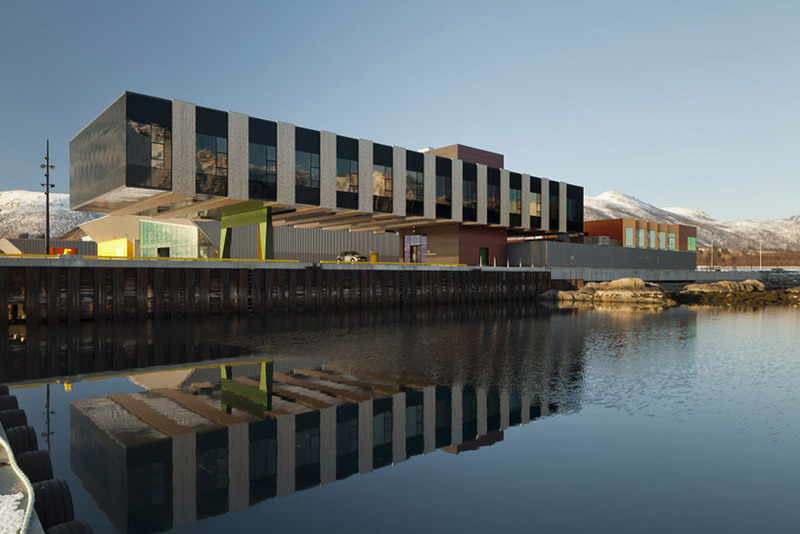 located on the eastern side of sortlandssundet in norway, the project assembles all employees and top-notch facilities on the same site, ensuring the region’s continued international success within the over one billion dollar industry in the country. 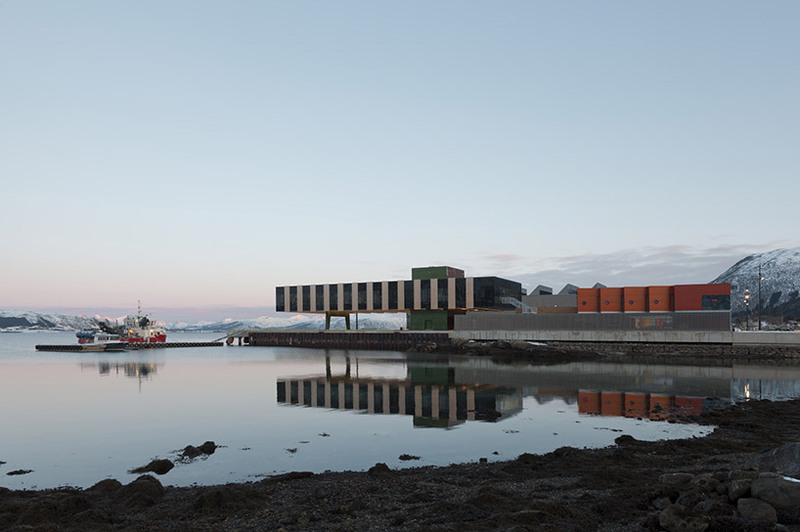 with the holmen industrial area, snøhetta has blurred the difference between the rawness of the fishing industry with a glossy corporate appeal by merging holmøy maritime’s trawling, fish farming and fish processing with the company’s headquarters into four distinctive buildings. 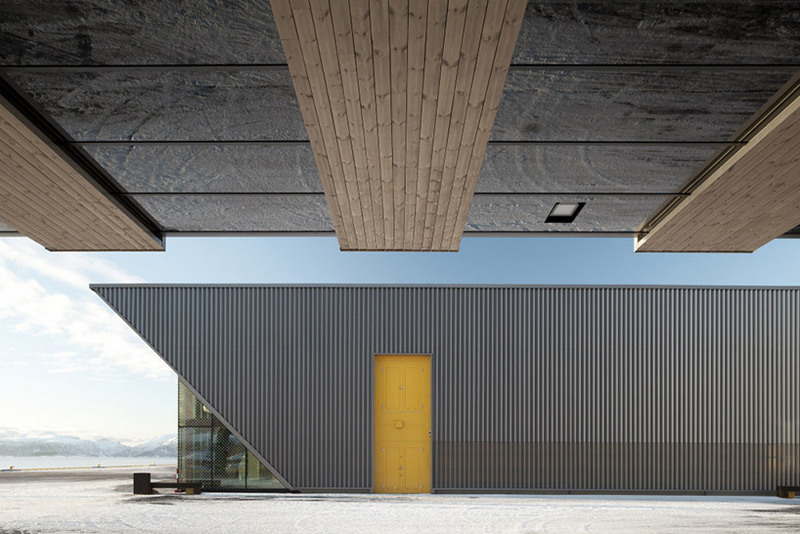 these structures also include a guest house that works as a home away from home for employees in need of it. 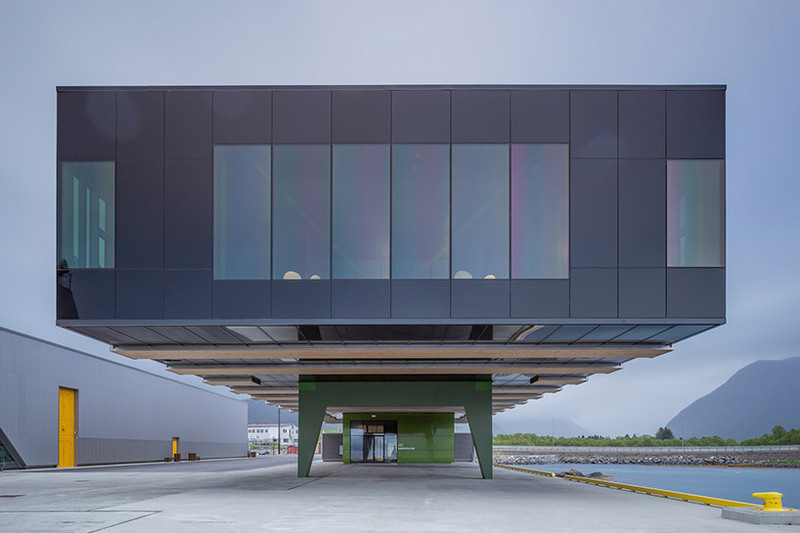 the structure is oriented towards a 126-meter-wide deep-water harbor that descends into the norwegian sea and it has been organized and dimensioned to facilitate for activities at the sea and on the mainland. 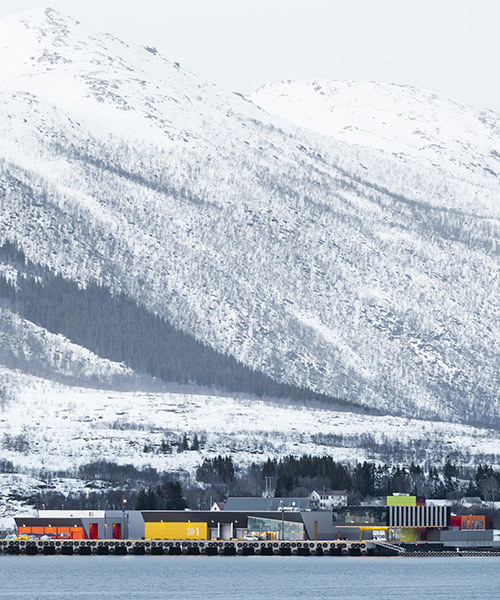 the area is characterized by a rough ocean, sheer mountains and rainy skies, and from december to the beginning of january it is lit by occasional northern lights. 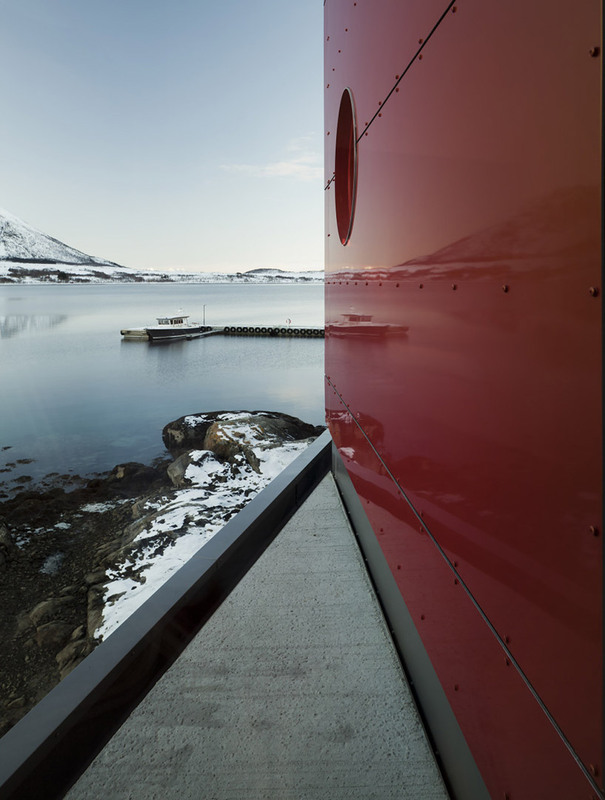 the warm colors, ranging from red, orange, yellow and green, create a playful contrast with the sky, ocean and mountains. 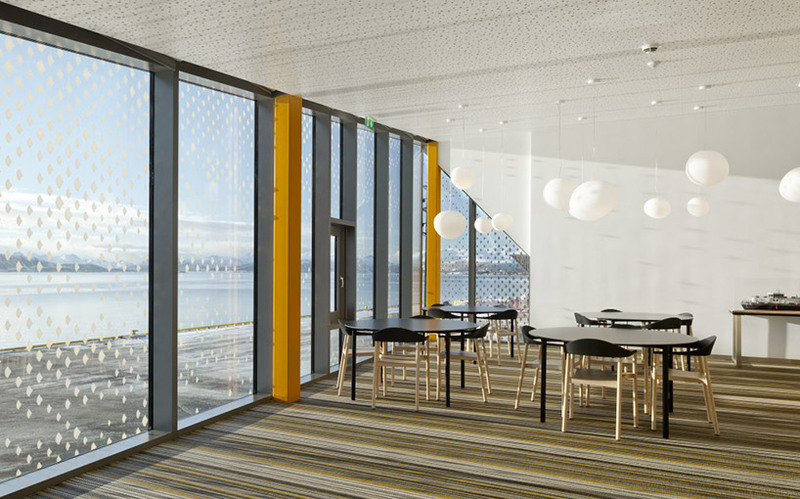 the facility features an open space with large windows, allowing for a maximum of daylight to penetrate the building while providing views overlooking the sea. 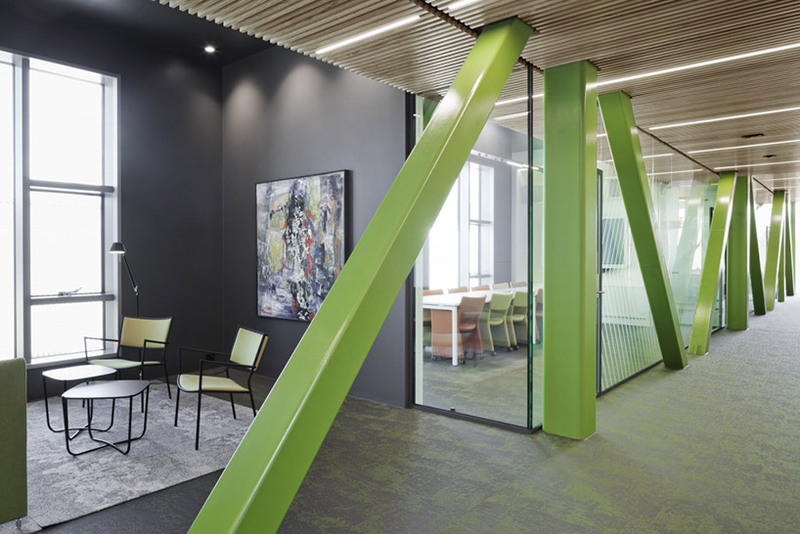 the bright color palette is also translated into the interior creating a warm atmosphere that sees the colors against the light ash and birch woodwork of the ceiling battens, wall panels, flooring and fixed and loose furnishings. 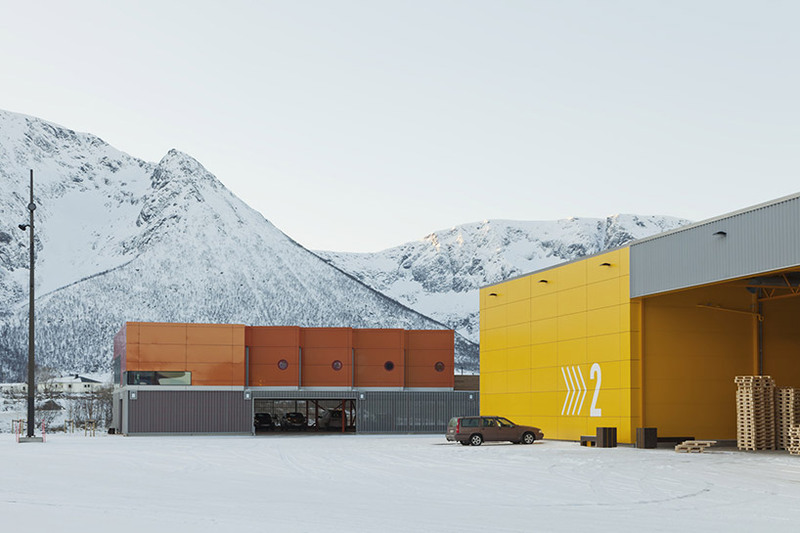 snøhetta’s colorful design for the holmen industrial area was inspired by the changing light conditions and landscape of vesterålen. 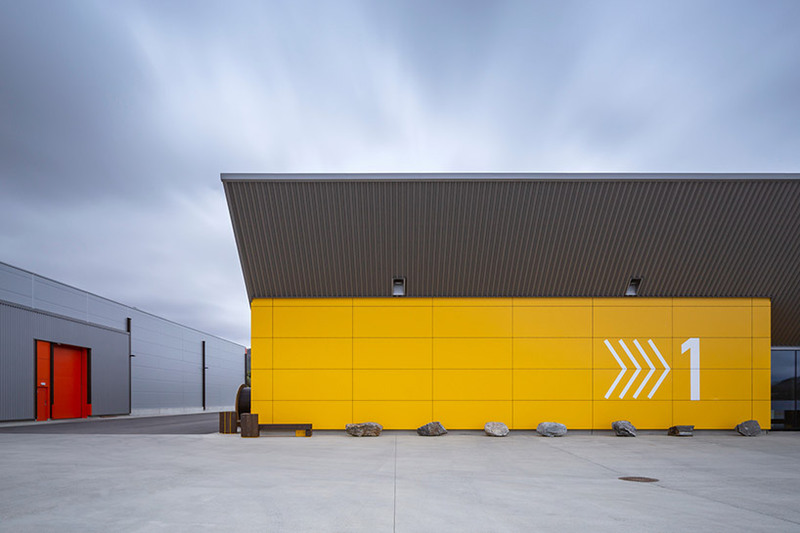 organized in a simple rectangular shape, the structure camouflages in-and-outgoing traffic from boats and trucks that shuttle between the facility, the sea and the mainland.